NEW DELHI, APRIL 12: As many as five private universities in the country have shown their prowess in the inaugural Atal Ranking of Institutions on Innovation Achievements (ARIIA) through their innovative approach in nurturing entrepreneurship and start-up ecosystem inside the four walls of the campus, with ideas flowing in all directions. 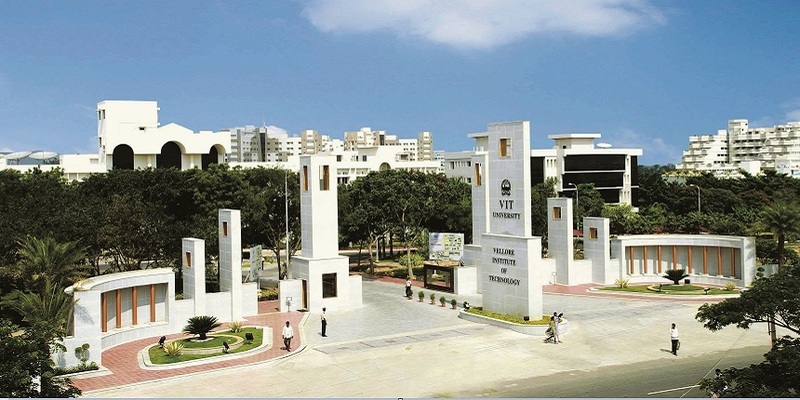 The institutions are VIT Vellore, KIIT Bhubaneswar, SRM Institute of Science and Technology – Chennai, JSS Academy of Higher Education & Research, Mysore, Vel Tech Rangarajan Dr. Sagunthala R&D Institute of Science and Technology- Chennai. An expert committee invited application from higher education institutions (HEIs) all over the country to get ranked on indicators related to “Innovation and Entrepreneurship Development” amongst students and faculties. Assessment of innovation and startup ecosystem in these HEIs are based on seven parameters Budget, Expenses to Support & Revenue Generated; Infrastructures & Facilities to Support Innovations and Start-ups; Awareness Activities for Promoting Idea Generation and Innovation; Promotion and Supporting Entrepreneurship Development; Intellectual Property (IP) Generation, Technology Transfer and Commercialization; Innovative Learning Methods & Courses; Innovations in Governance of the Institution. India has been improving its innovation ranking on the global stage, from 86th place five years ago, to 57th place this year. Prime Minister of India has declared this decade 2010-20 as the ‘Decade of Innovation’, to unleash the creative potential of every Indian. The real test of innovation is converting ideas into new or improved products, processes and services. In simple terms, innovation is about taking inventions to the marketplace by translating scientific knowledge into products, services and offerings for economic growth and social development. Indian institutions have been traditionally focussed on teaching and preparing candidates for the job market. Funds have never allocated to fuel innovation and entrepreneurship ecosystem in the institution. However, the scenario started to change with the turn of the century as campuses started to turn into a platform for nurturing such ideas. Though in a small number but institutions started to allocate budgets for promoting innovation and entrepreneurship. “In the last 10 years, we have invested a lot in improving faculty knowledge and asking our students to participate in research and innovations. The main thing you have to keep in mind when you are investing is that you have to be patient with the results. Results will come if we do good research and innovation. We should focus more on the process rather than the results. Once you have good people, good team, automatically results will come,” said Prof. B Suresh, Vice Chancellor, JSS Academy of Higher Education & Research, Mysore. The five institutions ranked for their innovative approach have not just invested money in research and innovation but at the same time, they have restructured the whole system of the institution by bringing innovative practices in their day to day functioning. Their ARIIA ranking will certainly inspire other institutions to reorient their mindset and build ecosystems to encourage high-quality research, innovation and entrepreneurship. It is important for India to emerge as a global innovation hub, the youth of our country, especially in higher education institutions (HEIs) need to play a crucial role to create a sustainable innovation ecosystem. Hence, ideally, all HEIs should have a comprehensive and functional mechanism to convert research into innovations. This ecosystem will encourage, inspire and nurture young students by exposing them to new ideas and processes resulting in innovative activities in their formative years. Rangarajan Mahalakshmi Kishore, Chairperson and Managing Trustee VelTech talking about the steps institute has taken says, “Vel Tech since its inception has been functioning with the mission to enable start-ups to survive and scale and create a vibrant ecosystem by harnessing the best minds across the world. No matter, what sector your innovation represents, we nurture them with funding opportunities through various Government schemes for every stage of the idea; by providing mentorship, by helping with networking; by supporting with physical space, IP support and enabling other support services & intern resources thereby hand-holding till you are ready to fly. “Our aspiration is that at least 5% of our incubates products & services get some form of global recognition and another 25% at least are niche players impacting positively the lives of people across the globe. As on date, we supported more than 100 incubates who registered with us under NIDHI-COE, NIDHI-PRAYAS, etc” she added. Dr. Viswanathan sharing the practices adopted at VIT said that the institute is conscious about the energy needs and has spent a massive fund in setting up bio-mass plant, bio-gas plant and solar energy generator. Energy generated is used in the hostels.